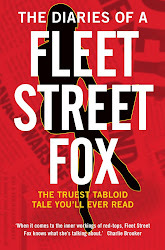 fleet street fox: Why bother to vote? It's not like it changes anything, as you can see from today's special General Election day column in the Daily Mirror which you can read here. Stay at home, why don't you?